Blackjack is a relatively simple game, particularly when it’s the classic Vegas rules version we all know and love. Rival’s single-hand blackjack game has, in fact, single-handedly provided everything player needs to feel right at home—while they are, in fact, right at home. All wordplay aside, while Rival’s blackjack game selection is pretty scant, it has nothing to be ashamed of. 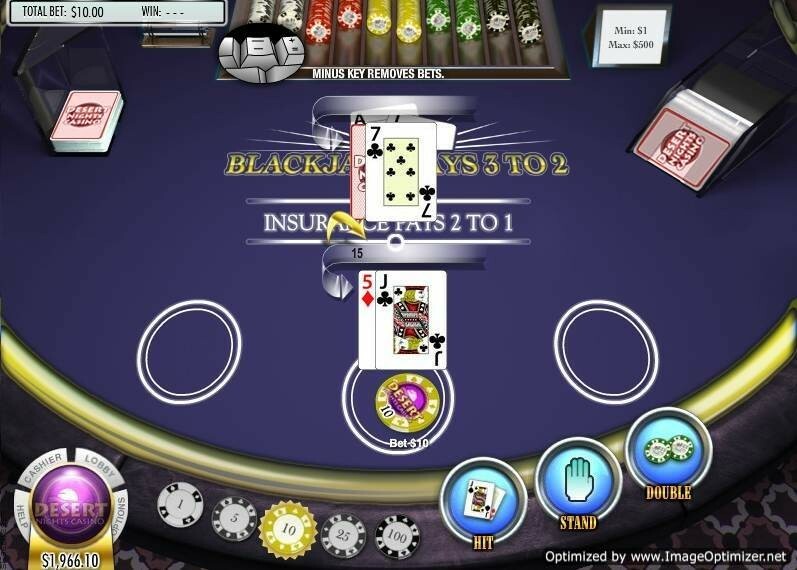 This blackjack game features rich, bold graphics and some of the smoothest animated play we’ve seen—a testament to its solid software platform and their dedication to the player experience. It also provides the ability to change the speed at which the cards are dealt, and a player can also select his or her preference regarding a full-screen or floating-screen size. If you’re new to the game, Rival provides a great instructions page under the “Help” tab. It lists common terms, general objectives, and an overview of all the rules. It’s also written in a way that is easy to understand and non-judgmental, which is a nice touch particularly because blackjack is the type of game everyone is expected to just know how to play—and not everyone knows all the nitty gritty details. Since Rival has taken a lot of the guesswork out of blackjack, let us take the guesswork out of where to play it. We’ve combed through all of Rival’s casinos and have recommended the ones below as online casinos that provide excellent customer service, payout satisfaction, and are just plain entertaining. After all, that’s our job at Games and Casino—to have a lot of fun with online gambling and then share it with you.